We are a full-service hospitality group with a commitment to crafting incredible guest experiences that leave a lasting impression. Whether you are planning a special event or are a guest of our hotel, restaurants, or a wedding, our promise to you is the same: You are in excellent hands. As a full-service hospitality group, we offer a variety of thoughtfully selected services that come together to create the ultimate guest experience. Each member of our team is dedicated to ensuring your experience or event is executed flawlessly. The B·Hospitality family of brands includes the Cambridge Hotel & Conference Centre, B·Elegant Catering & Event Planning, The Bruce Craft House, B@THEMUSEUM, and The Bruce Caboose Food Truck. Based in Cambridge, Ontario, we serve all of Southwestern Ontario and beyond. Billie-Anne brings over 35 years of hospitality experience to the team. 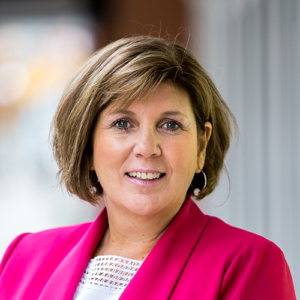 Billie-Anne’s decades of experience in the hotel and restaurant industries have helped to drive B·Hospitality’s success today. She is a passionate, client-driven industry leader, who is continually listening for and delivering “that” to provide an outstanding guest experience. This service culture has been embraced by her team with the same passion and attention to detail. When not in the office, you can find Billie-Anne traveling, entertaining friends and family with her gourmet meals or exploring the diverse restaurants and festivals throughout the region. Joe joined the B·Hospitality Team 10 years ago as the Director of Sales & Marketing. Joe’s passion for hospitality and strong leadership style have helped to establish B Hospitality as the leading hospitality provider in the region. 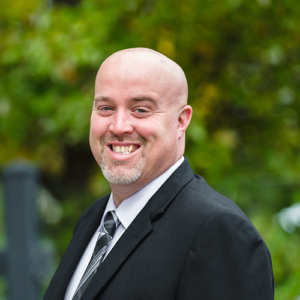 With over 20 years of hospitality experience, Joe works to ensure that all guests receive the personal attention they deserve and that every function, event or overnight stay is memorable. When he isn’t targeting new partnership agreements or booking events, Joe enjoys spending time outdoors with family and friends. 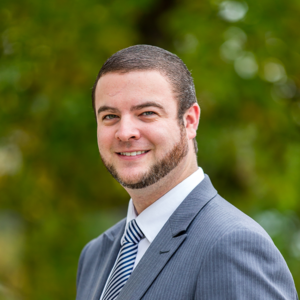 Michael joined the B·Hospitality Team 10 years ago as a Sales Manager for the Cambridge Hotel & Conference Centre. Throughout his career with B Hospitality, Michael has been exposed to various hospitality roles, giving him a unique perspective of the industry. As the Director of Food & Beverage, he constantly looks for ways to improve service and revenue. Michael approaches every task the same – with a dedication to providing an incredible customer experience. When not working, he loves to spend time on home renovations, spoiling his dog, relaxing with family and friends, and enjoying a chilled glass of white wine. Whether you’re hosting a large conference at our hotel or an intimate party in one of our restaurants, our in-house catering team will work with you to ensure seamless execution of your event and incredible, memorable food. We’ve handled over 150 weddings and thousands of events. Throughout our 10+ years in the industry, we’ve cultivated amazing relationships with local venues and members of the wedding community. Our gourmet food truck, The Bruce Caboose, is a perfect fit for late night receptions, private and corporate events, festivals and sporting events. The options are endless with fun and fully-customizable menus! Our conference and special events team bring the same professionalism and careful organization to your event that you would expect of your own team. Our independently owned full-service hotel has 137 guest rooms. Our independence encourages our hospitality team to take every opportunity to go above and beyond your expectations. We’ve built a leading team of food & beverage and hotel operations experts. We want to share our hospitality expertise with you and your business to assist you in achieving your goals. We’re always on the lookout for talented individuals who are passionate about delivering an authentic hospitality experience. Ready to join our team? Apply to one of the positions below by sending your cover letter and resume to hr@bhospitality.ca. B Hospitality welcomes and encourages applications from people with disabilities.